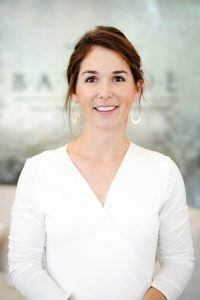 I am delighted to introduce myself, Jennifer (Idzi) Greenawalt, as your Bayside Institute Coordinator. As you know, Bayside prides itself on being “a community like no other,” offering unique opportunities to create lasting memories and to live more, right here, in your own backyard. Most exciting is the recent addition of Bayside Institute, a life enrichment program tailored to suit you, our members. I am truly honored to be in the position to create opportunities for exploration, development, engagement and connection. Bayside Institute is about developing special experiences just for you. Creating an enrichment program is so exciting to me, as I have a passion for constantly learning more; whether it be about myself, a new subject matter or my community and neighbors. Continuously learning helps us to grow as individuals, connect with others, and discover hidden talents and new passions. I am interested to learn what excites and interests you. I look forward to meeting you, sharing great experiences with you and providing enrichment for your life through Bayside Institute. Originally from the greater Baltimore area, I attended Salisbury University, fell in love with the Eastern Shore and am now lucky enough to call beautiful Southern Delaware “home.” I find building relationships and fostering a sense of community to be incredibly important. My beginnings at the Bethany-Fenwick Area Chamber of Commerce submerged me in a world of fantastic local business owners and an overwhelming sense of community. I am already finding the relationships I was fortunate to build through the Chamber to be a huge asset in making Bayside Institute a success. I welcome every opportunity to learn about you, your interests, and suggestions for tailoring Bayside Institute to suit you.